Recent hardware exhibits an increased susceptibility against transient hardware faults due to shrinking structures sizes and operating voltages. Automotive safety standards take up this fact, recommending the deployment of appropriate counter measures. Here, existing solutions mainly concentrate on the hardening of applications, while the underlying operating system is often left as unreliable computing base. dosek aims to bridge that gap by utilizing consquent design and implementation concepts for contructing a reliable computing base even on unreliable hardware. dosek is developed from scratch with dependability as the first-class design goal. Targeting safety-critical, embedded applications, the system provides an OSEK/AUTOSAR-conform interface (currently ECC1). We claim that a static system design is the right choice for a dependable design and implementation of a robust RTOS. As presented at ISORC 2014, a statically tailored system leads to a higher inherent robustness of the resulting system due to the reduction of vulnerable run-time state. dosek is statically tailored towards the concrete application and hardware platform -- without restricting the required OS services. The dosek static analysis does not end with a simple control-flow graph of the application but further determines the expected overall system behaviour according to the OSEK specification. This allows to identify all possible system states and transitions at point in time. Based on this knowledge, the operating system code can be specifically tailored to the application, including dependability-oriented optimizations and extensions leveraging several fault-avoidance and -detection strategies. Dependability-oriented tailoring condenses the vulnerable kernel state to a minimum, reducing the amount of registers and memory exposed to transient faults. Apart from that, our fault-injection campaigns identified different kinds of indirection as a major catalyst for silent data corruptions. Therefore, a further important fault-avoidance strategy, which we apply throughout the entire system design, is the strict avoidance of indirections, both regarding the data-flow as well as the control-flow. The remaining vulnerable state is then protected by a combination of tailored dependability measures. Generally, we concentrate on reliable fault-detection and containment within the kernel execution path. This includes runtime assertions of the expected system state and a fully ANB-encoded kernel execution. 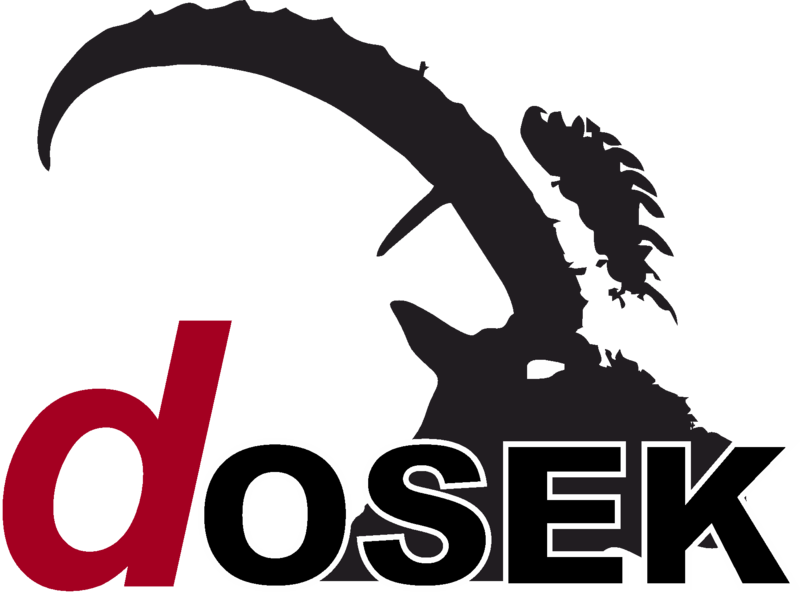 dosek further aims to support the application layer by providing flexible dependability services. At the OSPERT'15 workshop in Lund, we presented an approach to replace the actual kernel implementation with an equivalent state machine. The dOSEK group received the Best Paper Award at RTAS'15 conference. Back to the Roots: Implementing the RTOS as a Specialized State Machine. (OSPERT '15, Lund, Sweden, July). Cross-Kernel Control-Flow-Graph Analysis for Event-Driven Real-Time Systems. (The 16th Conference on Languages, Compilers and Tools for Embedded Systems (LCTES 2015), Portland, Oregon, USA, June 2015). New York, NY, USA : ACM Press, 2015, pp 1-10.
dOSEK: The Design and Implementation of a Dependability-Oriented Static Embedded Kernel. (21st Real-Time and Embedded Technology and Applications Symposium (RTAS '15), Seatlle, WA, USA, April 2015). Effectiveness of Fault Detection Mechanisms in Static and Dynamic Operating System Designs. (IEEE International Symposium on Object/Component/Service-oriented Real-time Distributed Computing, Reno, NV, USA, June 2014). dOSEK: A Dependable RTOS for Automotive Applications. (19th IEEE Pacific Rim International Symposium on Dependable Computing (PRDC '13), Vancouver, British Columbia, Canada, 02.-04. Dez. 2013).